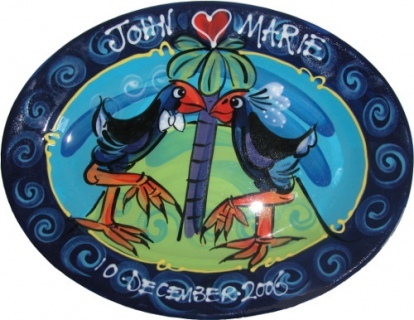 We can design anything..... click here for our gallery!At SPLASHY we specialise in making unique hand painted ceramics. A service we offer is our very popular CELEBRATION PLATTERS. Terrific for weddings and engagements, in fact any anniversary. This gift celebrates the recipient like no other as it has names and dates as well as a message on the back. 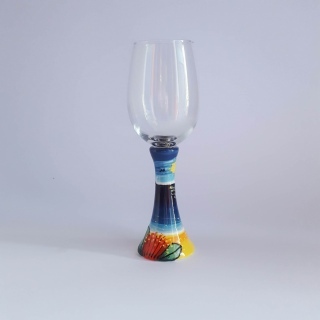 We have standard designs or you can contact us to personalise it even further. Email at mail@splashy.co.nz with your ideas.